Best African Online Dating Site | Scam Free African Dating Site! With the many dating sites niches today, one that is gaining more and more popularity are African dating sites. The reason behind this is because more Africans are joining the online dating scene in the hopes of meeting the love of their lives. One of the best African dating site today is Black Cupid. Let’s all find out why by reading the information that I’ve gathered just for you. Black Cupid was established by Cupid Media, which is known to operate more than 30 dating sites. They commit to connecting all black singles from all over the world. They created Black Cupid to make it easy and safe for you to find your match in no time. Another good thing about Black Cupid is that they offer free membership, so you don’t have to worry about anything at all. Black Cupid is not only dedicated to African-Americans but as well as other individuals from all over the world. They have hundreds of members signing up daily, which means that you”ll be able to meet almost every kind of people from all over the world. One of the reasons why you should choose Black Cupid is that there are hundreds of active members every single day. This means that no matter what time you feel like searching and chatting for a member, you will never run out of options. The site also has 120,000 visitors every month, which means that from those visitors hundreds are signing up to meet people like you. Another thing that you should know about Black Cupid is that the site is dominated by men. This means that if you re a woman, there are a lot of options from you. But no matter what gender is more dominant on Black Cupid, there will always be that someone who will be there to meet up with you. Also, members on Black Cupid are int 30s and 40s, which means that they are already in their settling age. This also says that the majority of the people here are looking for something serious and not just a quick fun. The signing up process is pretty quick and straightforward. You don’t have to worry about answering any personality tests because there are none. All you have to do is to key in an email address that’s valid so you can start looking for a match. Of course, for you to get noticed, uploading a recent photo of yourself would be ideal. The picture will need to be verified before it gets uploaded, so make sure to be patient about it. There are some photo guidelines that you need to check and follow. Once you are done with the process of signing up and uploading of photos, then you can start searching for Black Cupid members. You can check their background and cultural values and search for them. You can also search by the lifestyle of appearance to ensure that the one that you are looking for will be shown to you. The Cupid Tags will help you gain the attention that you need. This is similar to hashtags, where you will be searching for a person’s characteristics based on the tags. In return, you can also use tags so that when people start searching for one of the words that you input on your profile, you will come up on their search results. The Show Interest feature is the heart-shaped icon, which is beside the picture of a member. It is located next to the button for messaging. Clicking that heart-shaped icon will give that person a hint that you like that person. It can also be a form of an icebreaker and a good conversation starter. Black Cupid has a Profile Comparison feature. This will help you browse through a member’s profile and see the things that you have in common. You will also be able to gauge the connection that you have with this person. 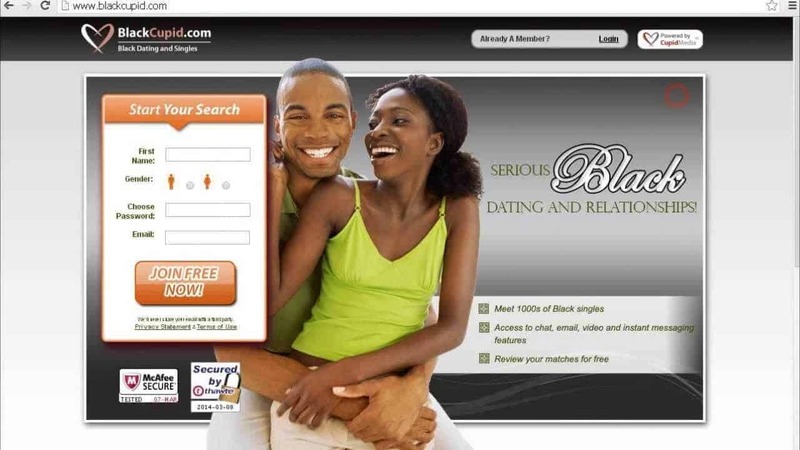 Overall, Black Cupid is an excellent African dating site that will help you find your match. If you are ready to settle down and you’re just waiting for that match, then Black Cupid can help you find the one for you.